Although Icahn remains bullish on Cheniere Energy, fellow billionaire Jim Chanos has shorted the liquefied natural gas player. Last year investors began targeting Cheniere Energy as the liquefied natural gas industry shifted from a speculative play to an oversupplied spot market. The LNG outfit is now fueling a battle of the billionaires, with backers Carl Icahn and Seth Klarman on one side and short-seller Jim Chanos on the other. Icahn tells Institutional Investor that he maintains his long call on Cheniere. When I look at this company, I still think its very undervalued, he says. Cheniere was co-founded in 2000 by Charif Souki, an oil and gas executive, to develop LNG terminals throughout the U.S. 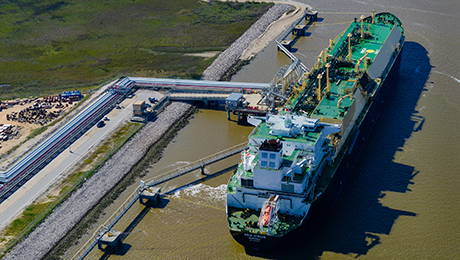 The Houston-based company, one of the countrys first movers in LNG, owns the Sabine Pass terminal in Louisiana and has an ambitious expansion plan that includes developing other areas in that state and Texas. But such work is expensive: At the end of the second quarter, Cheniere had $19.5 billion in outstanding debt and negative cash flow. Despite these headwinds, investors including activist Icahn and hedge fund manager Klarman have taken big positions in the company, touting its long-term prospects. Icahn contends that the shale revolution changed the game for Cheniere by bringing development costs down and that LNG demand will surge as countries look for new sources of cheap fuel, adding that the company already has a strong portfolio of LNG contracts. Cheniere estimates that if all of its development plans come to pass, it will control as much as 14 percent of global LNG supply by 2025. That would put the company in a leading position, but its taking a big gamble. Between them, Icahns New Yorkbased Icahn Enterprises and Klarmans Boston-headquartered Baupost Group own almost 30 percent of Cheniere. Klarman has been quietly building his position since 2014, but Icahn has opted to take an activist stance. In regulatory filings last year, he griped that Cheniere was spending too much money and that management was overpaid. 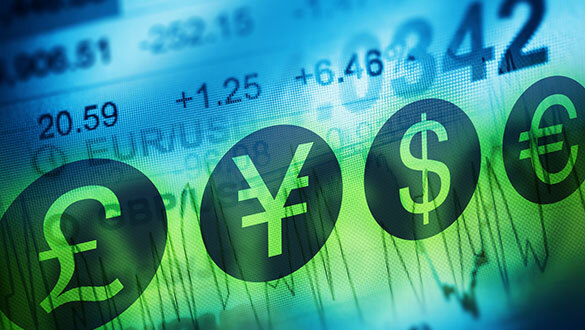 To realize the full value of its development projects, the company will have to grow smartly. Icahn got two seats on the 11-member board shortly after he announced his stake in Cheniere in August 2015. Late last year he ousted Souki, then one of the highest-paid CEOs in the oil and gas industry, from the company. When the board of directors dismissed Souki, Icahn praised the choice in a statement on his blog. I thank and congratulate the board for having the guts to take these actions, which I fully support, he wrote. Souki was replaced by veteran oil and gas executive Jack Fusco this May. Although Icahn has pushed through the changes he wanted at the executive level, thats about all he has gotten for his investment. Cheniere lost almost half of its value in 2015, and its share price hasnt rebounded so far this year, ending last week at $43.63. On September 6, Barclays downgraded its price target for the stock, from $64 to $53, citing oversupply in the LNG market and questions about worldwide demand. Those concerns are shared by Chanos, founder and president of New Yorkbased hedge fund firm Kynikos Associates, who has been shorting Cheniere since 2015. During a presentation on the company at Mays SkyBridge Alternatives Conference in Las Vegas, Chanos contended that the companys complex financial structure, high levels of debt and overbuilding will make it crazy expensive relative to its peers, even if demand for LNG starts to tick up. I dont know what Carl sees that I dont, he said. Chanos argued that there are a lot of misconceptions about the bull-and-bear case for the LNG player. In his presentation, he called the holding company structure that Cheniere uses for its projects financial engineering gone crazy. At that time Chenieres base case was guidance of $2.1 billion in earnings before interest, taxes, depreciation and amortization by 2021, with 25 percent of that coming from uncontracted business. Those calculations amounted to a premium of 11 to 12 times ebitda, compared with LNG peers like Chevron Corp. and Royal Dutch Shell, which were trading at five to eight times 2020 ebitda. New Cheniere CEO Fusco seems to be taking these hurdles in stride. The company got its first LNG terminal up and running in February; during a second-quarter earnings call on August 9, Fusco said that hes focused on financial discipline and looking for ways to do our jobs faster and cheaper. Cheniere will start releasing earnings guidance in the future, and the company will disclose more financial information as it shifts from being a developer to an operator of LNG terminals, he added. Fuscos plans include the operational and governance changes that investors like Icahn want to see, but it may be a few years before they start to pay off. 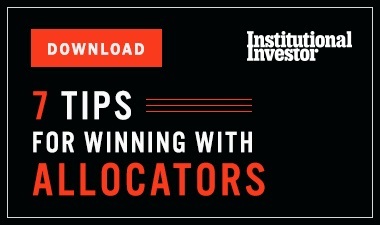 In the meantime, analysts are starting to cool on Icahn Enterprises, for which energy sector investments are a top five segment of the portfolio. In an August research note, UBS senior analyst Brennan Hawken downgraded Icahns publicly traded investment holding company from neutral to sell, citing continued pressure on holding companies and underperformance from Icahn Capital, the investment fund operating under the Icahn Enterprises umbrella. 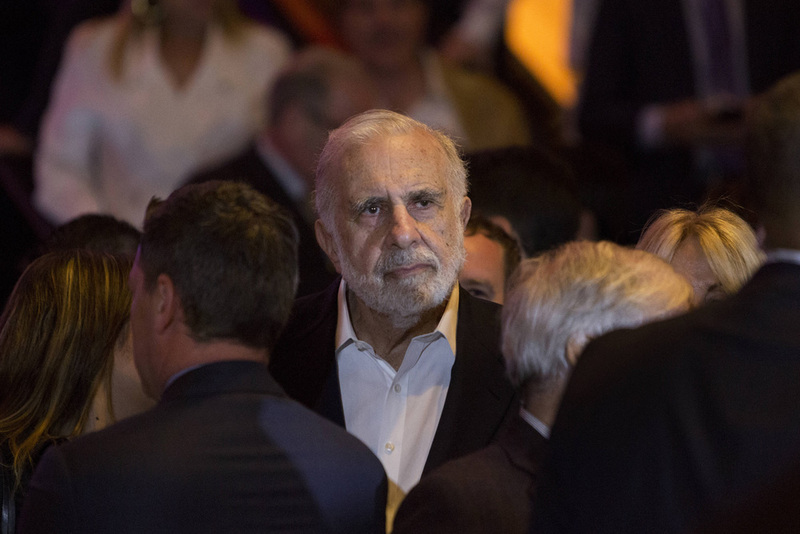 Hawken projected that shares in Icahn Enterprises could lose as much as half of their value over the next year. The stock closed at $50.87 on the Nasdaq on September 2, down 17.93 percent for the year. Both Carl Icahn and Jim Chanos will be appearing at the Delivering Alpha conference, hosted by Institutional Investor and CNBC, on September 13 at the Pierre hotel in New York.